Welcome to the Greatest Show on Earth!! 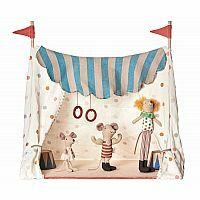 This canvas fabric circus tent for the Maileg Circus Mouse family (and friends) features a wooden floor board and ring bars. 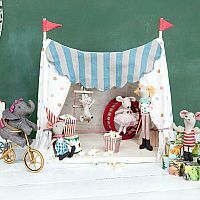 Also included with this circus tent is a do-it-yourself sheet that you can cut and make banners, posters, and popcorn containers to decorate the tent. 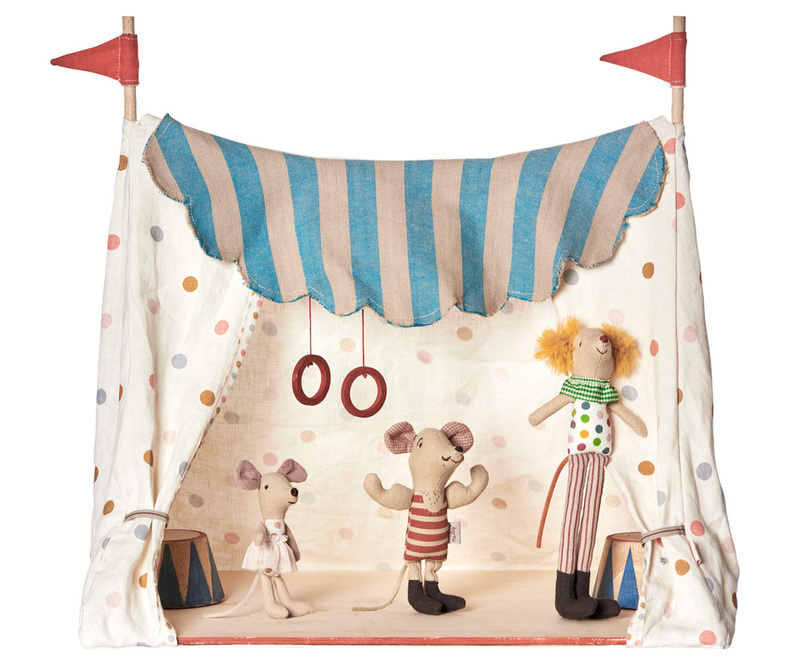 Three adorable mice are included (strong mouse, stilt clown mouse and a ballerina mouse). 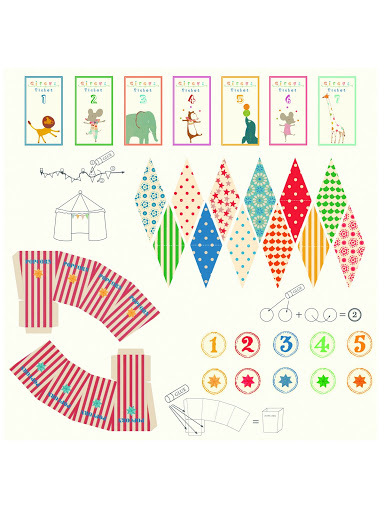 The circus tent is a part of the circus collection from Danish toy maker, Maileg. 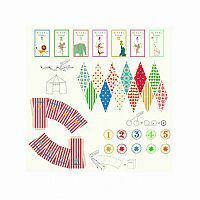 Maileg is an award winning Danish toy company founded in 1999 by Dorthe & Erik Mailil. Maileg's toys have a classical design that provides hours of fun for generations to come.